Spring is extra special with a new, interactive ride & play friend. Learning to ride a bike is a fun rite of passage for a child, but the active entertainment doesn't have to stop there. From beginner bikes with training wheels to ice skates and electric scooters, Walmart's Kids' Bikes and Riding Toys department puts hours of activity right at your child's feet. Encouraging active outdoor play is particularly important given how many digital distractions are in front of our kids these days, and the bikes and riding toys in this department may be just what you need to get your children interested in healthy play in the sunshine. You can find the right fit for each kid in your family thanks to our Every Day Low Prices and the generous selection of options available in this department. There are several different ways to shop for a bike for your child. You can start by narrowing down your options by bicycle type or size. If your little one is still in the toddler phase, a tricycle or balance bike, which doesn't have pedals and moves via scooting, is likely the right choice. For older kids, you can focus on standard bike sizes starting with 12" and running up to 24". After that, you move into adult bike sizes, which may be appropriate for older kids or tall younger children. Bikes on the smaller end of this spectrum tend to come with training wheels and fewer gears and features, while the larger bikes offer more rider control and more elaborate braking systems. The ride-on toys in this department include small electric vehicles that operate using their own motors, allowing kids to ride without providing the power through pedaling or scooting. 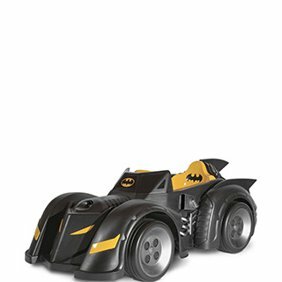 From kid-sized toy cars to electric scooters and hoverboard-style boards, the toys in this section are often highly covetable and make great gifts for birthdays, holidays and other special occasions. These high-tech toys are usually battery operated and may require charging to stay powered up and ready to roll. Classic wagons, push buggies and trikes with steering handles offer the right balance between mobile fun and parent supervision for smaller children and longer trips. Our wagons are also great for allowing children to engage in imaginative autonomous play. For example, they can wheel a tolerant family dog around the yard or use the wagon to do chores like collecting vegetables from your family garden. Our push buggies and trikes are a great intermediate step between the stroller and a kid-powered trike or bike, and some of them even convert, allowing you to remove the handles and let the kids push themselves along as a step on the road to riding a bike. Roller skates, inline skates (rollerblades) and ice skates are also available in this section, offering a novel way for children to get around in both fair and winter weather. We offer skates that have their own boots attached and simple wheel or blade assemblies that strap onto kids' shoes for a more versatile approach to play. From simple play skates that kids can use to wheel around the driveway to specially designed ice skates for figure skating or ice hockey practice, you can equip children from toddler age all the way up to adult sizes with the products in this section of our Kids' Bikes and Riding Toys department. Little ones who aren't yet old enough to power their own bikes, trikes or skateboards can still enjoy the fun of ride-on movement with rockers in a variety of shapes and sizes. From classic wooden rocking horses to adorable plush rockers in the shapes of wild animals like elephants and caterpillars, rockers are fun indoor toys that get kids moving and help boost their imaginations. We offer rockers that also look great as part of nursery, bedroom or playroom decor, making them great gifts to give for baby showers and other special occasions. 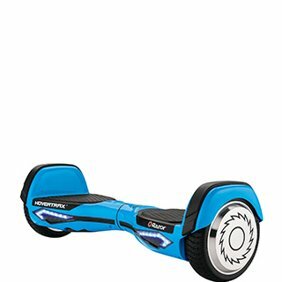 Whether you're picking out skateboards, hoverboards, scooters, trikes, bikes or skates, chances are that your child could benefit from some protective gear to go with his or her new riding toy. We offer helmets and full sets of pads for knees, wrists and elbows in a variety of sizes and colors to suit any child. Establishing protective gear as a regular part of getting ready to ride can be an important way of keeping your child safe as he or she rolls around on play equipment. With proper protective gear in place, a fall can turn from a major medical emergency to a simple event that your kid learns to recover from quickly. You can make the protective gear more fun to wear by choosing a colorful style that features motifs, themes or characters your child particularly enjoys.